This rocks. Word choices so delicate and necessary. Beautiful snippet of a moment!! must have stories no one knows….I like these lines…they say so much…cool piece. and hey i will see you in a few days so can i request this one? i can take requests, i reckon. *smiles* it’ll be great to see you. let me know when you get in, yeah? 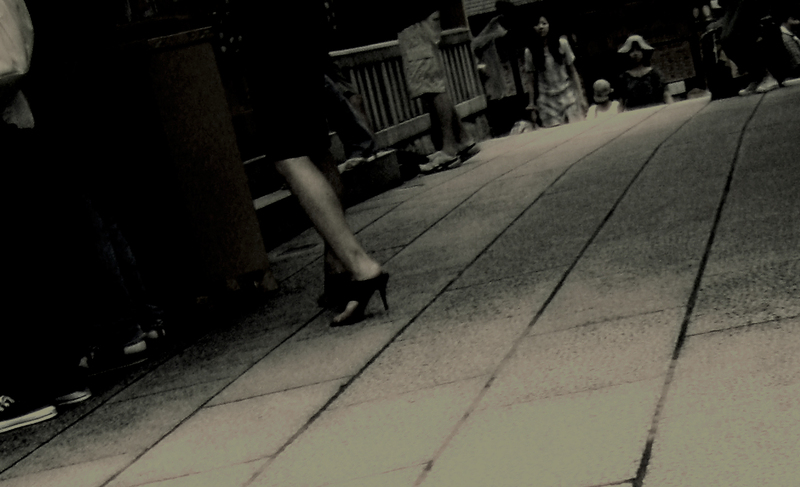 Perhaps the photo led me, but this one brought to mind a movie of the 30’s or 40’s, perhaps a bit of film noir, even. Loved the mood you created. maybe a bit of noir, yes, perhaps. appropriate to a blues bar, i think. thanks, Victoria. I really like this, the title grabbed me first, just love the feeling of the whole thing. This is so subtle, and yet so suggestive. I like the way the words tease out the latent heat, swirling like an aura around her, but just hesitate short of ignition. A smouldering gem of a poem. “smouldering gem…” — i like that. 🙂 thank you, Samuel. You really painted a great picture of her. I love this.